The Amalfi coast with the lovely beach resorts Amalfi, Positano and Sorrento is considered the most beautiful coastal area of Italy. It is the perfect location for a relaxing holiday on the beach, while beautiful Naples and historic Pompei are within easy reach. Residence Royale selected lovely luxury villas right on the coast often with breathtaking sea view. 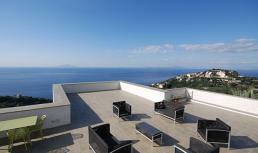 This lovely, modern villa for 9 is for rent above Sorrento on the Amalfi coast. Villa Galli comprises 4 bedrooms, 5 bathrooms, air conditioning, a private pool and internet. 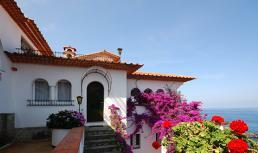 A wonderful luxury villa with panoramic sea views! Villa Oleander is located in San Montano, only 4 km. from Sorrento on the Amalfi coast with splendid sea view. Luxury vacation villa for 11 with private pool, air conditioning, internet and beach access! 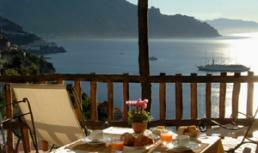 Villa Orio is for rent near Positano on the Amalfi coast with splendid views of the Mediterranean Sea. This wonderful holiday villa comprises 3 bedrooms, 3 bathrooms, a private pool, air conditioning and internet. It is only a 10 min. drive to the beach! 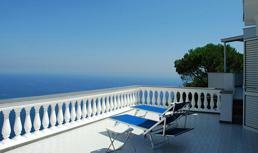 This luxury villa is located near Amalfi on the Amalfi coast with splendid sea view. Superb vacation villa for 12 with heated pool, air conditioning and internet! Villa Lobra is located near Massa Lubrense on the Sorrento peninsula with panoramic views of the Gulf of Naples towards Capri and Ischia. Superb vacation villa for 14 – 18 persons with private pool, air conditioning and internet!